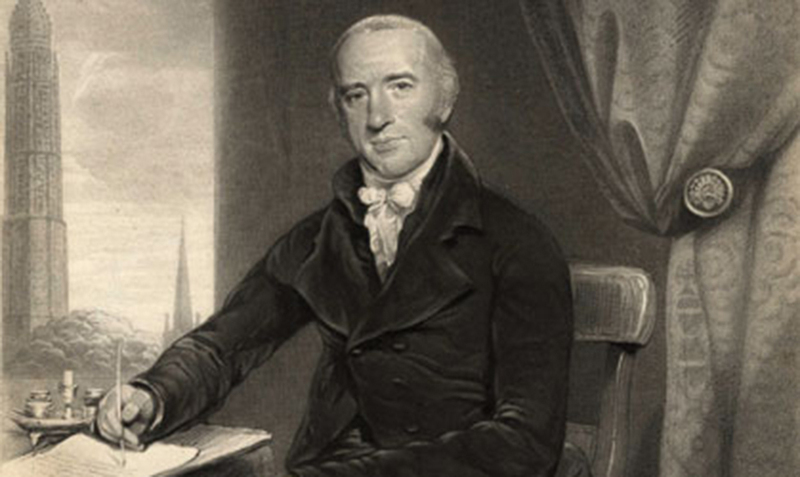 In the history of preaching, Charles Simeon is a name to remember. His view of preaching continues to influence modern homiletical thought in a dramatic fashion. Simeon was born in England in 1759, attended Cambridge and became pastor of Church of the Holy Trinity in 1782. He would serve this church for some 54 years until his death in 1836. His entire ministry in the Anglican Church was marked by a radical commitment to Scripture and a passion for preaching. Through his ministry, he facilitated the training of more than 1100 Anglican ministers.For a helpful introduction to Simeon, see Handley Moule, Charles Simeon (Great Britain: Christian Focus, 1997). Preach the text to yourself. Years ago, I heard Chuck Swindoll warn preachers of the danger of “trafficking in unlived truth.” Simeon would have concurred with such a warning. When asked about advice he would give to a young preacher, he responded, “Let him get his text into him in his study, and then get into his text in the pulpit.”Arthur Pollard and Michael Hennell, eds., Charles Simeon (London: SPCK, 1959), 39. Preach texts from the entire Bible. The preacher who preaches only two or three sermons a year from the Old Testament is failing to declare the whole counsel of God. Observe, in contrast, this description of Simeon’s practice: “He set himself to preach on all the books of the Bible, and from such a wide variety of texts that his twenty-one volumes of sermons (Horae Homileticae) form almost a commentary on the whole Bible.”Ibid., 36–37. Preach the text only. Simeon placed great value on the principle of textual fidelity and abhorred the thought of one abandoning careful exegesis in favor of careless eisegesis (reading into the text). His stated objective merits emulation: “My objective is to bring out of Scripture what is there, and not to thrust in what I think might be there.”Hugh E. Hopkins, Charles Simeon of Cambridge (Grand Rapids: Eerdmans, 1977), 57. Let the text “drive” the sermon. Simeon manifests marks of the text-driven philosophy championed at Southwestern today. In addition to the recommendation, “Reduce your text to a single proposition,”Ibid., 59. (think, main idea or thesis) he also offers a perspective that seems similar to the substance/structure/spirit formula of text-driven preaching. With regard to substance, he declares: “Every text has its proper subject, which should be brought forth, without mutilation or addition of any kind.”William Carus, ed., Memoirs of the Life of the Rev. Charles Simeon (London: Hatchard and Son, 1848), 505. This work is currently available from Nabu Public Domain Reprints. Next, he indicates a sensitivity to structure and genre when he writes: “Mark the character of the passage: Let it (declaration, promise, appeal) direct in the arrangement of your discourse.”Ibid., 450. Finally, he sounds like David Allen or Steven Smith when he urges, “Mark the spirit of the passage-tender or indignant. As God’s ambassadors, we should speak all that He speaks, and as He speaks it. God Himself should be heard in us and through us.” Ibid., 451. Preach the realities of sin and redemption. This guideline is obvious but, given our post-everything culture, probably needs to be stressed with fresh fervor. Simeon never lost sight of these realities. This led him to describe the three great aims of his preaching: to humble the sinner, to exalt the Savior and to promote holiness. The sin of man and the glory of the Redeemer gave a distinct earnestness and urgency to his sermons.Moule, 51. Those in ministry often are told to choose their models and mentors carefully. That is wise counsel. Charles Simeon’s pastoral and preaching ministry is a worthy model for any of us. We can still learn much from him today. Matthew McKellar is Professor of Preaching at Southwestern Baptist Theological Seminary in Fort Worth, Texas. 1. ↑ For a helpful introduction to Simeon, see Handley Moule, Charles Simeon (Great Britain: Christian Focus, 1997). 2. ↑ Arthur Pollard and Michael Hennell, eds., Charles Simeon (London: SPCK, 1959), 39. 4. ↑ Hugh E. Hopkins, Charles Simeon of Cambridge (Grand Rapids: Eerdmans, 1977), 57. 6. ↑ William Carus, ed., Memoirs of the Life of the Rev. Charles Simeon (London: Hatchard and Son, 1848), 505. This work is currently available from Nabu Public Domain Reprints.